This vending machine cares more about love than money. A new Coca-Cola machine at the National University of Singapore dispenses free beverages in exchange for hugs. 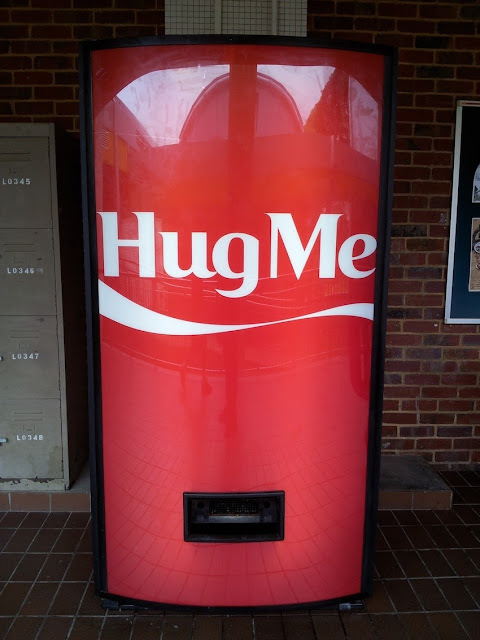 The red-and-white machine has the word "Hug Me" written across the front in Coke's signature font.The machine is programmed to dispense a Coke when a person wraps their arm around it. They say money can’t buy you love, but apparently a little love can buy you a bottle of Coke.